Welcome to the Tartesso Elementary School website. We are located in Buckeye, Arizona, and enjoy the benefits of an active and supportive community. 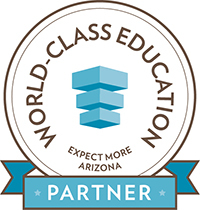 As a part of Saddle Mountain USD, we foster a culture of high academic achievement. Our students thrive and excel in a variety of programs carried out in partnership with our caring, collaborative community. Whether you are a student, parent, prospective family, or community member, we have what you are looking for. Welcome to Tartesso Elementary School, home of the Tigers. 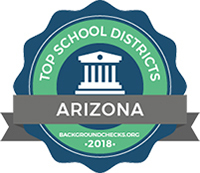 We are a K-8 school in the Saddle Mountain Unified School District with over 500 students in Buckeye, Arizona. Our four-day school week is in session Tuesday-Friday from 7:00 a.m.-3:00 p.m., and we offer free breakfast in the classroom to all students daily starting at 6:45 a.m. Through our vision statement, “Everyone learns every day,” our teachers and staff will significantly touch the lives of your children. Please view my letter in its entirety, as it contains important information regarding the many programs our wonderful school offers. I look forward to getting to know each and every one of you. If I can be of service in any way, please don’t hesitate to contact me.